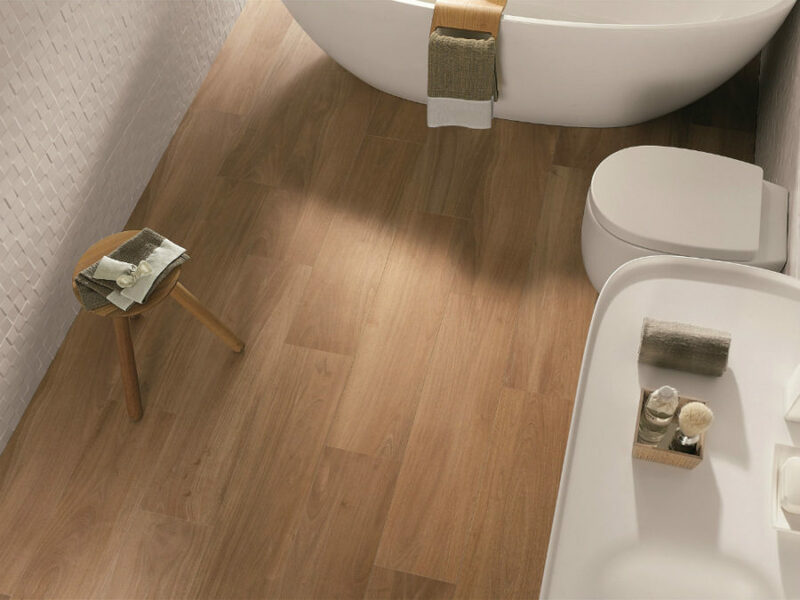 Bathroom design is more than just picking tiles, but that is probably the most important aspect of it. 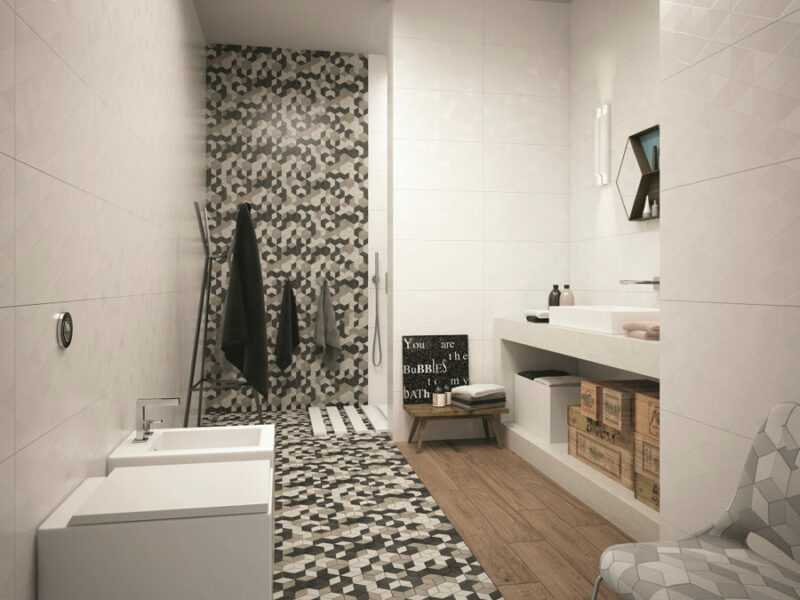 Modern bathroom tile designs are so varied, it can be hard to make the choice at all. 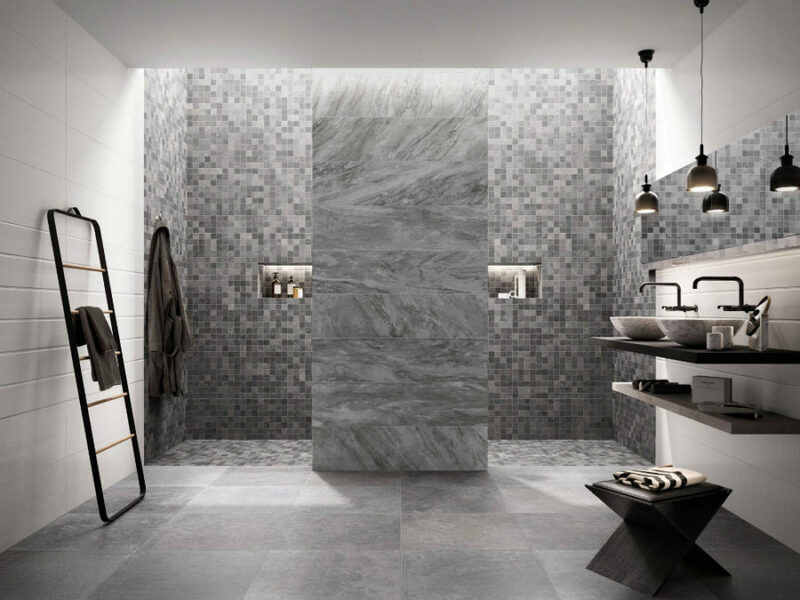 Materials alone range from classic ceramics to natural stone, which, in turn, includes more varieties than just marble. 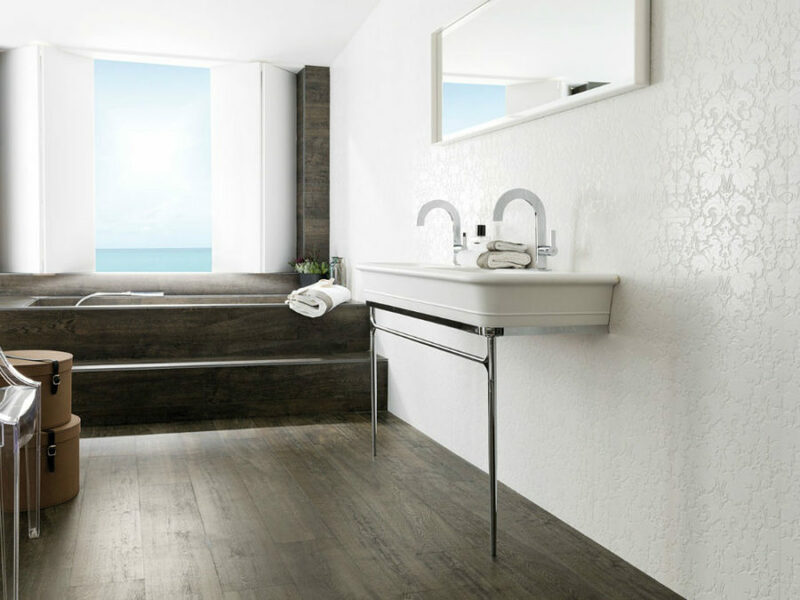 Contemporary colors, shapes, and materials will make your head spin in a sweet whirlwind of bathroom remodeling. 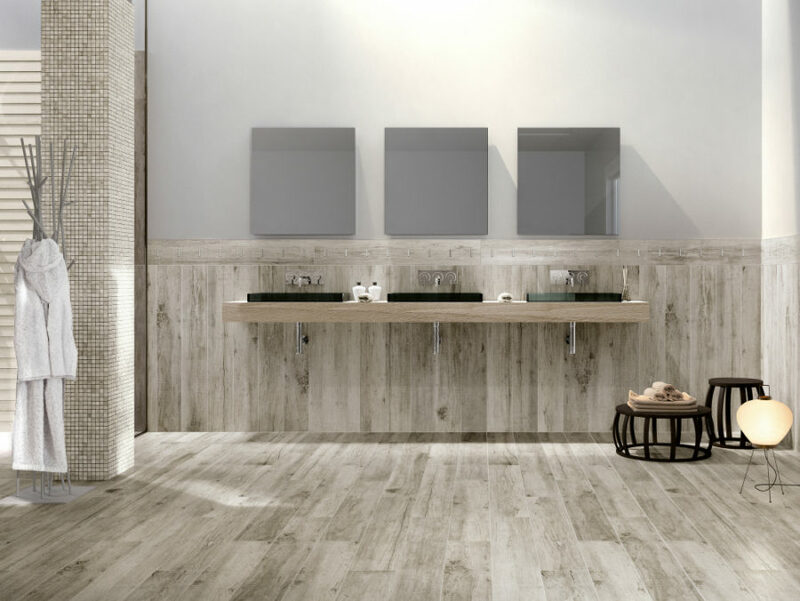 When it comes to sizes, there are standard squares and rectangles, but if you want a more uniform look to your bathroom walls or floors, many tile manufacturers will be happy to oblige with extensive monolithic wall and floor coverings. 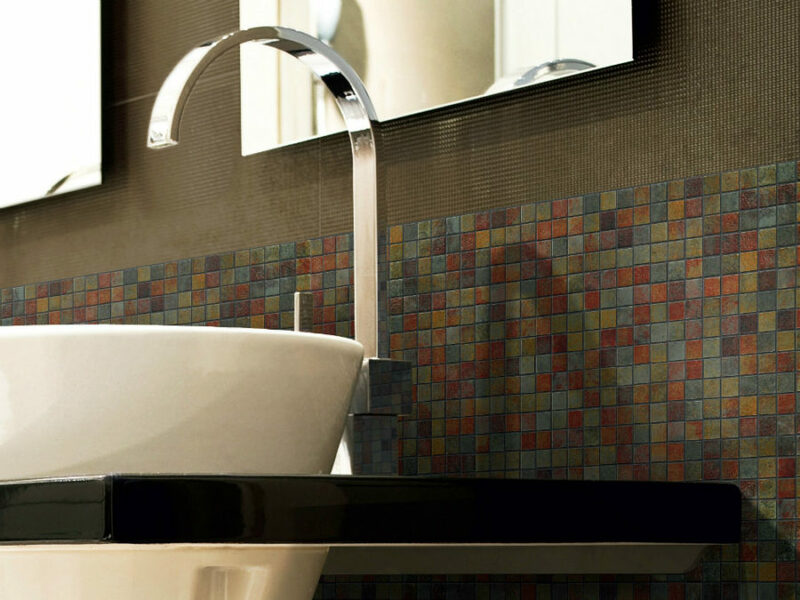 Small mosaic tiles, while still very much favored by homeowners, give way to bigger, broader pieces that are easier and faster to install. They also look sleeker and minimal. 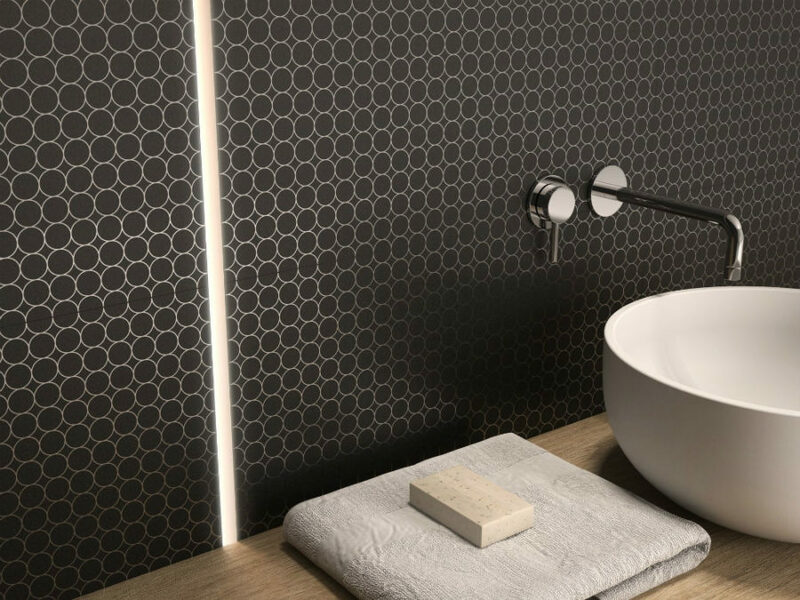 But if you think you can only have a pattern using mosaic tiles, big designs will pleasantly surprise you with what they can do pattern-wise. 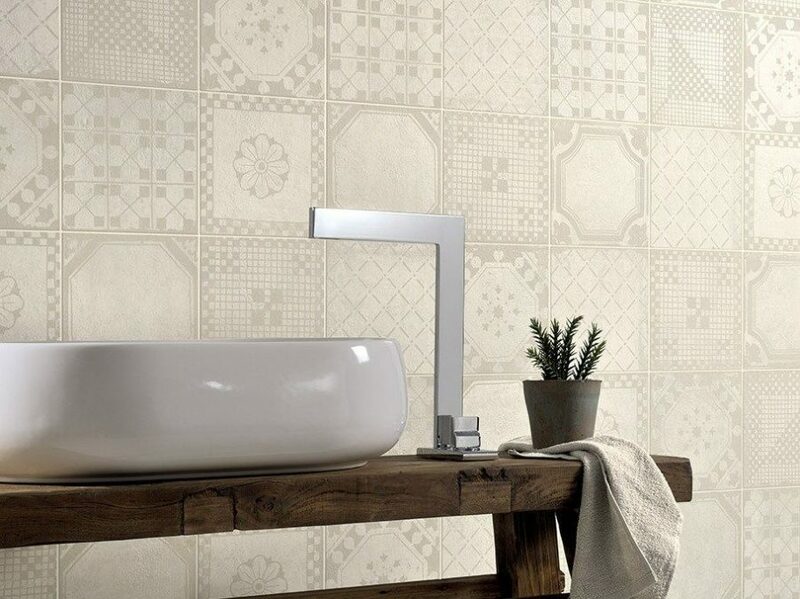 Of course, there is some charm to each of the tile shapes. 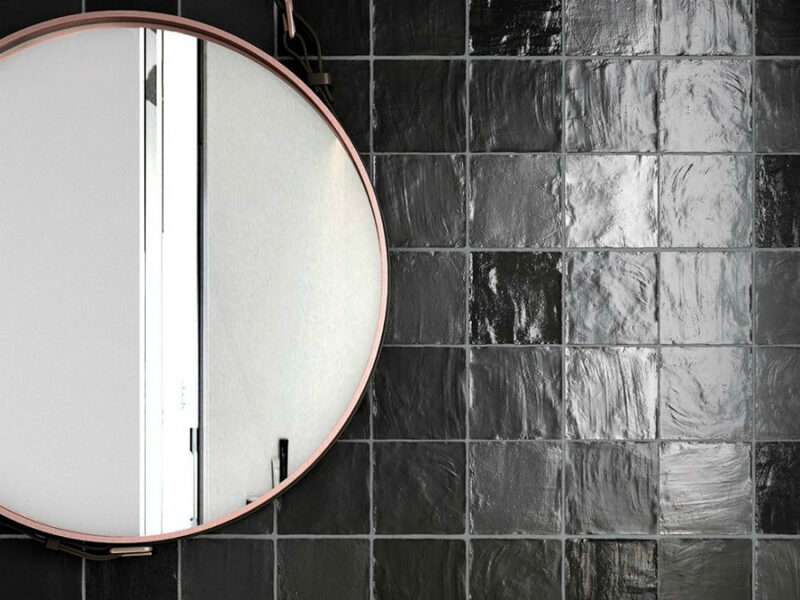 Small squares look especially bold and daring in black. 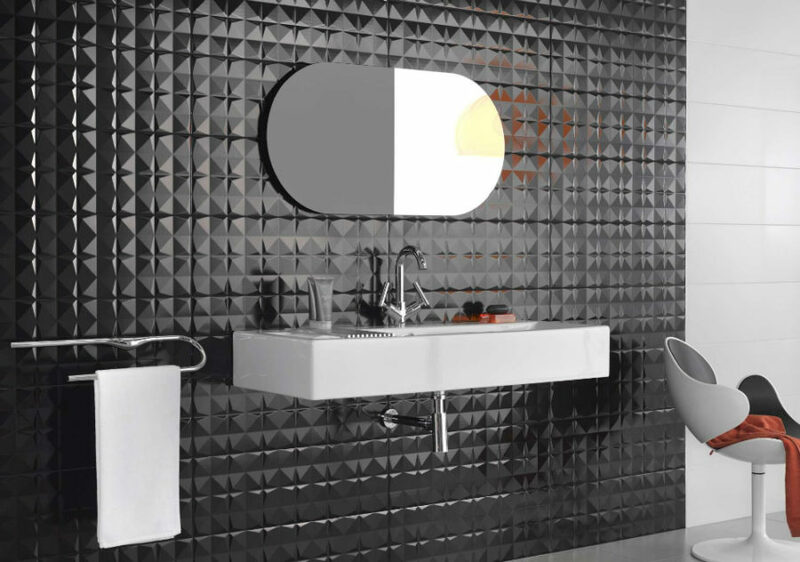 Little round tiles give walls more detail and dynamic. 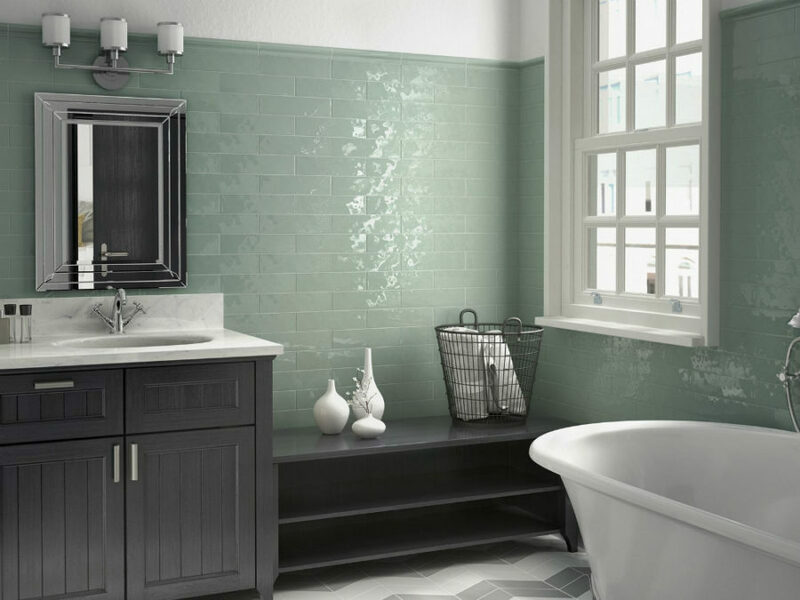 Brick or rectangular tiles still make that classic bathroom look. 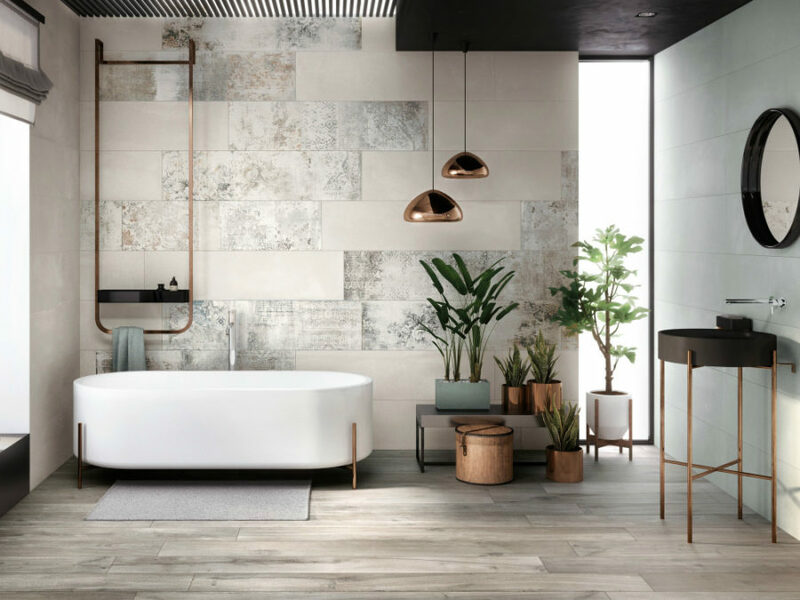 Looking at all these showcase bath interiors, there is a case to be made that mixing a few tile designs of various shapes can do the room a world of good. 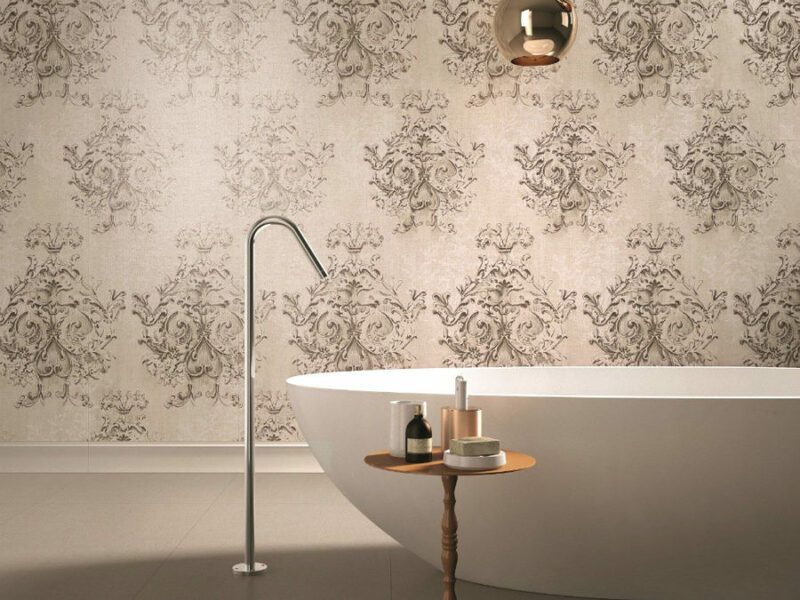 Take a cue from the bath design by Flaviker. 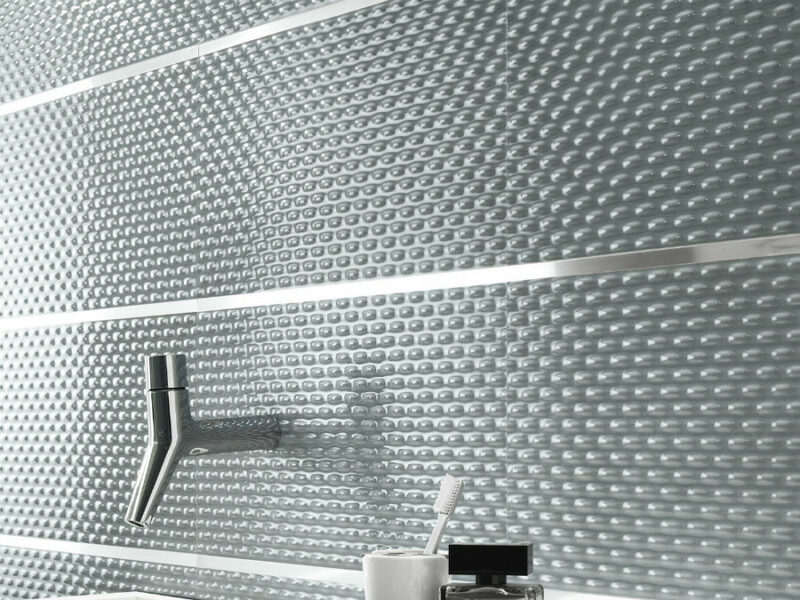 They outfitted the entire shower wall with small square tiles made of same stone as the divider column. The rest comes in neutral white and grey. 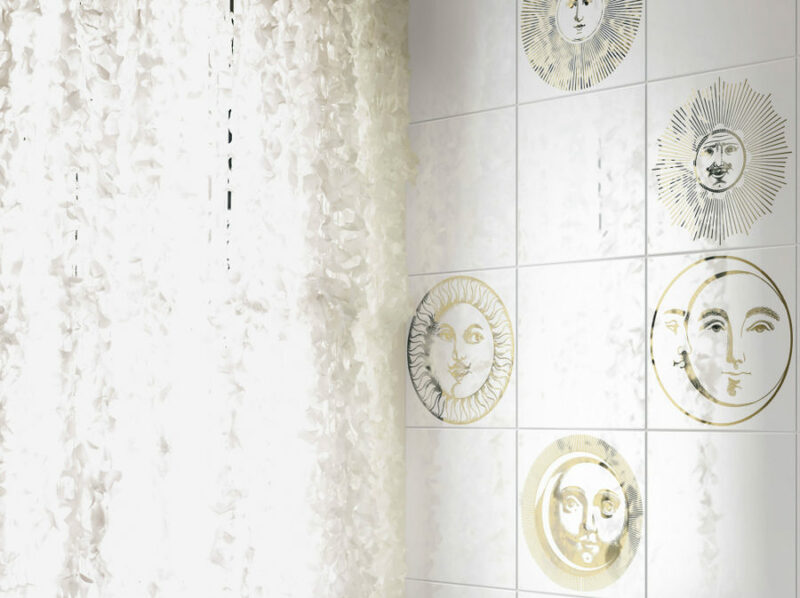 And even though every tile design has its own shape, there is harmony in the picture still. 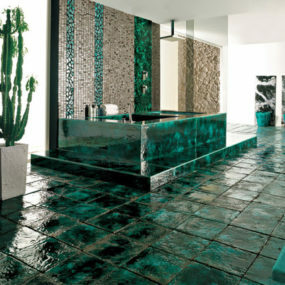 Modern bathroom tile designs are very rich in color. They come in every specter from vibrant teal to pastel pink. 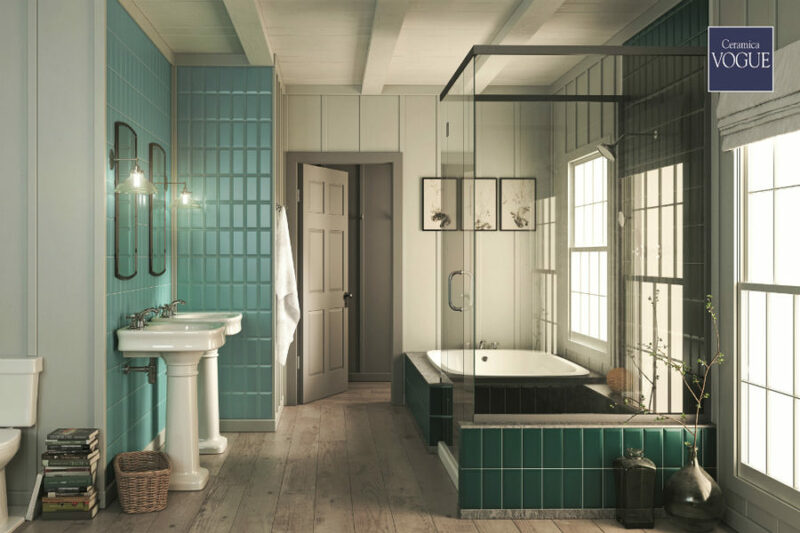 Playing off the color right, you can turn your bath into your remodeling magnum opus. 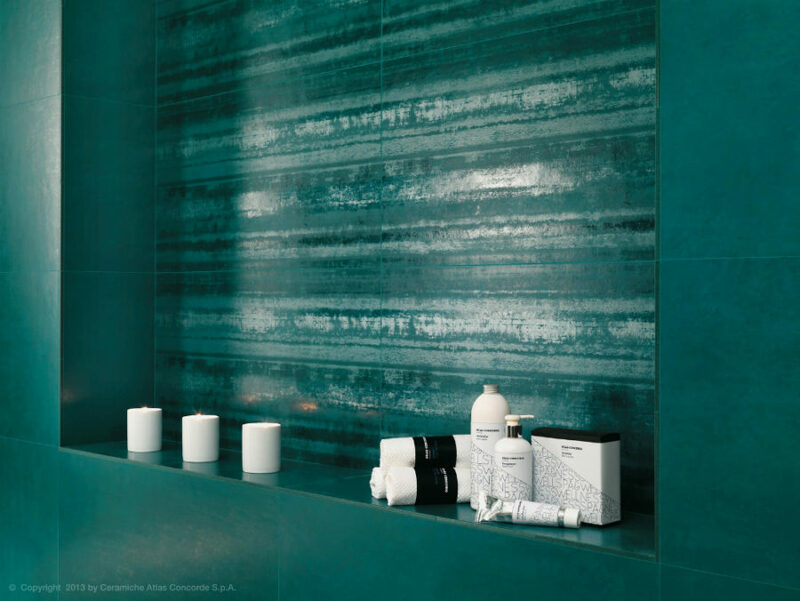 Aqua and oceanic blues aren’t the only impressive hues here. 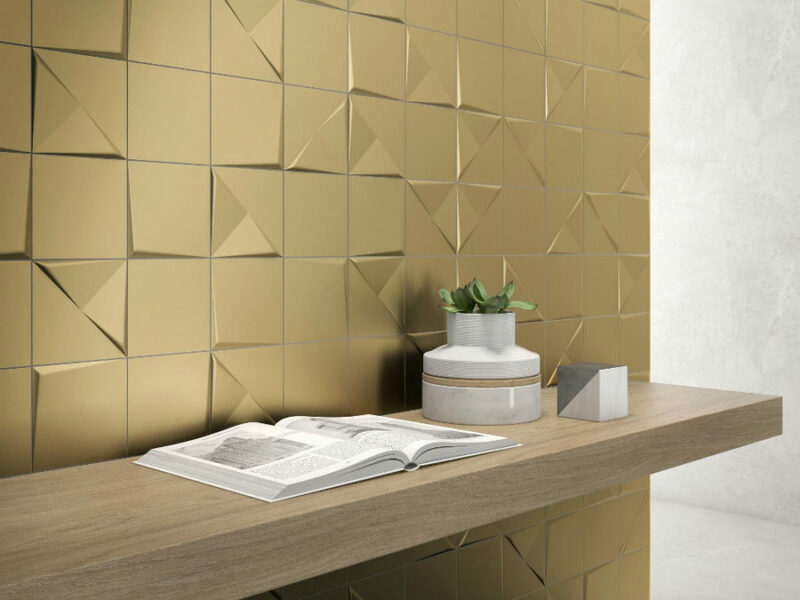 Golden tiles were very much an inevitability with that whole metallics decor trend that keeps on going. 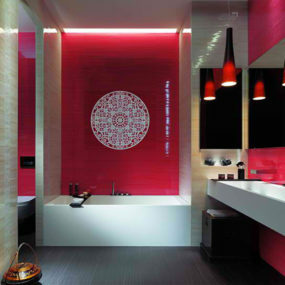 There are also the hues that have more complexity to them. 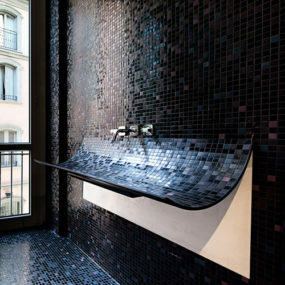 For instance, the Earthglass tile from Onix Mosaic imitates natural patina, and mixes a few colors in each little square. Thanks to patterns, shapes don’t matter as much anymore. 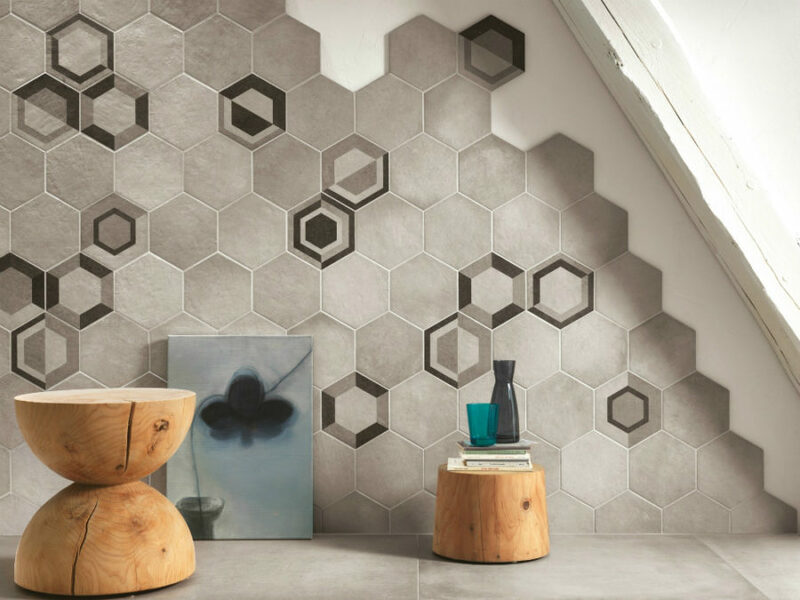 Clever, tricky patterns can make you think you’re seeing hexagons, when you’re really looking at square tiles. 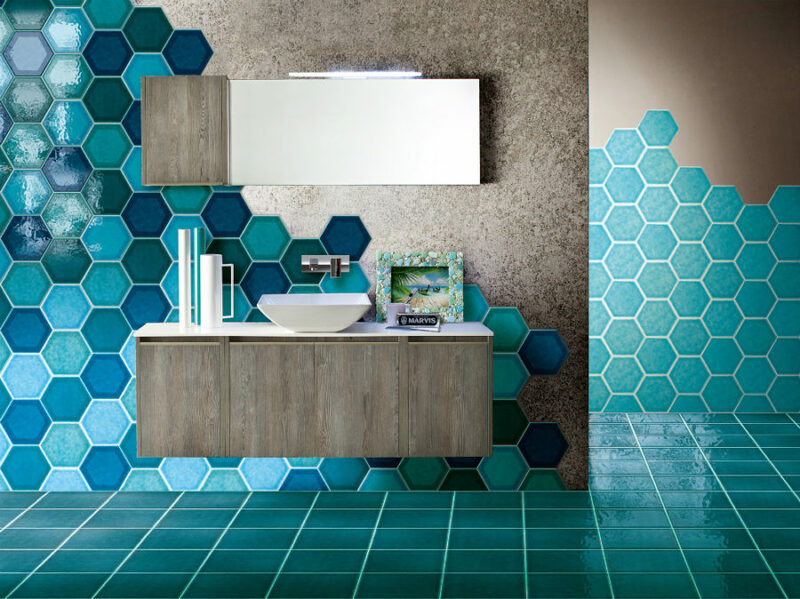 There are lots of fresh new patterns in modern bathroom tiles designs. 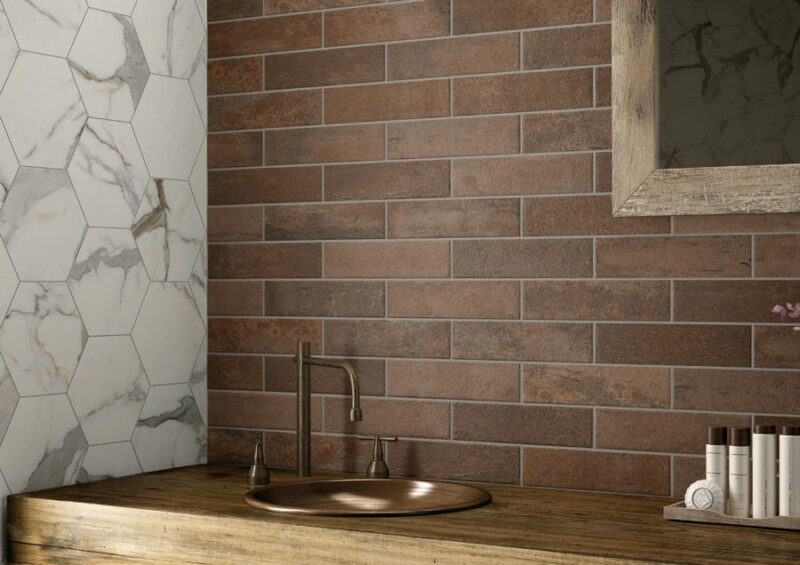 Taking the best from classic traditional tile patterns, many manufacturers play with textures and color intensity in order to modernize them. 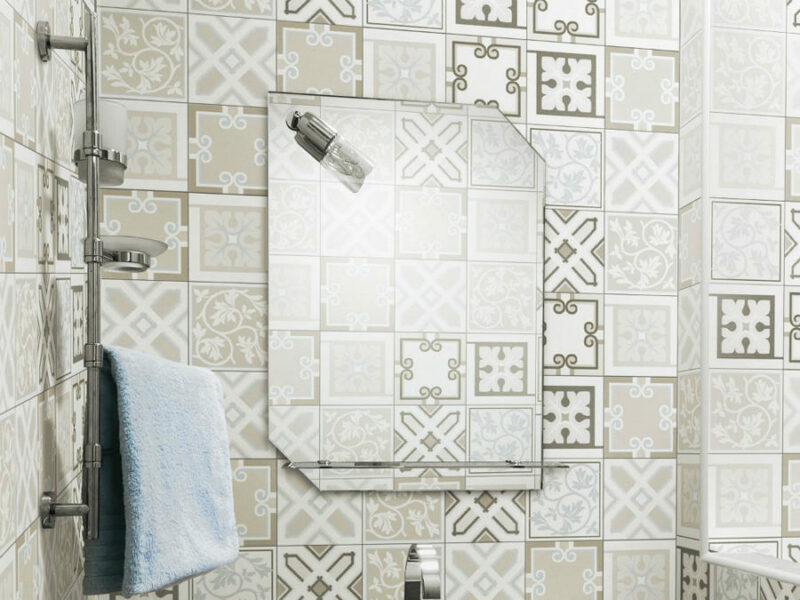 Those faded floral tiles you see on the market today are the result of that. 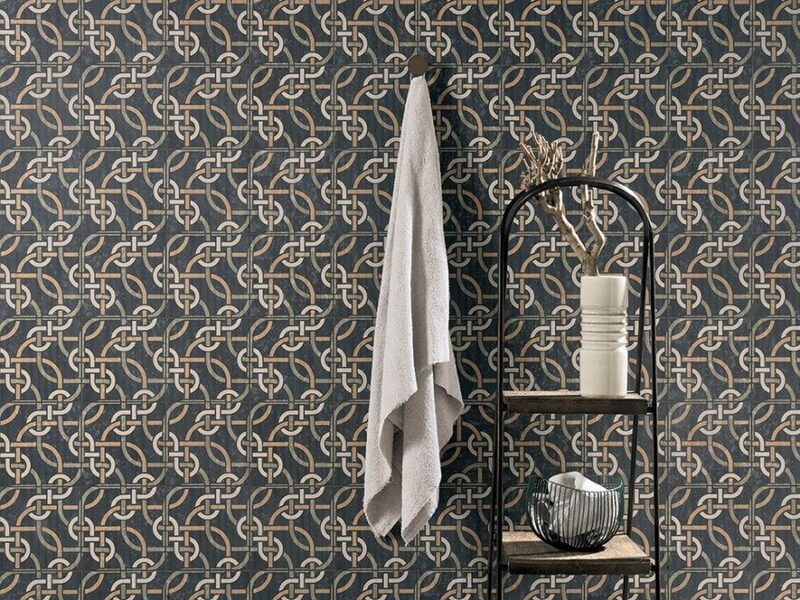 Mixing up different patterns in one collection has become another big trend in tile design. 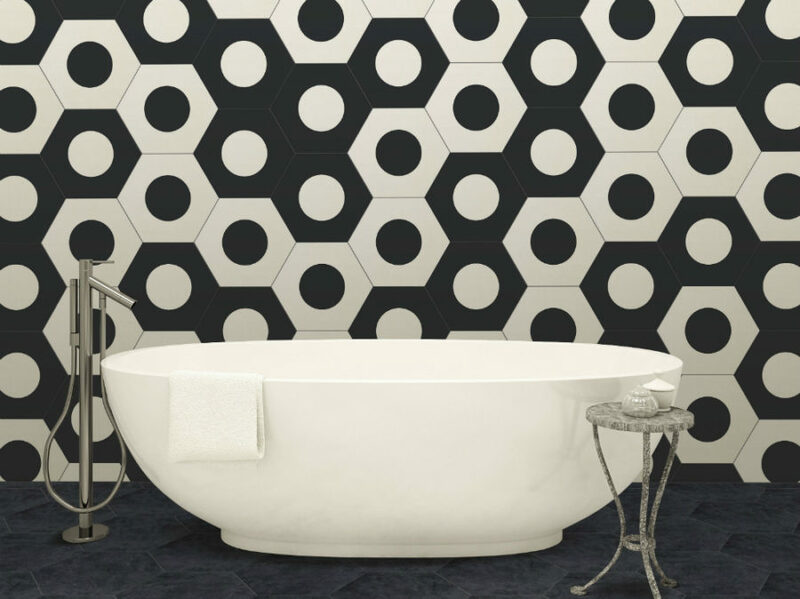 But you can never go wrong with simple geometrical patterns, especially juxtaposed against complex shapes. 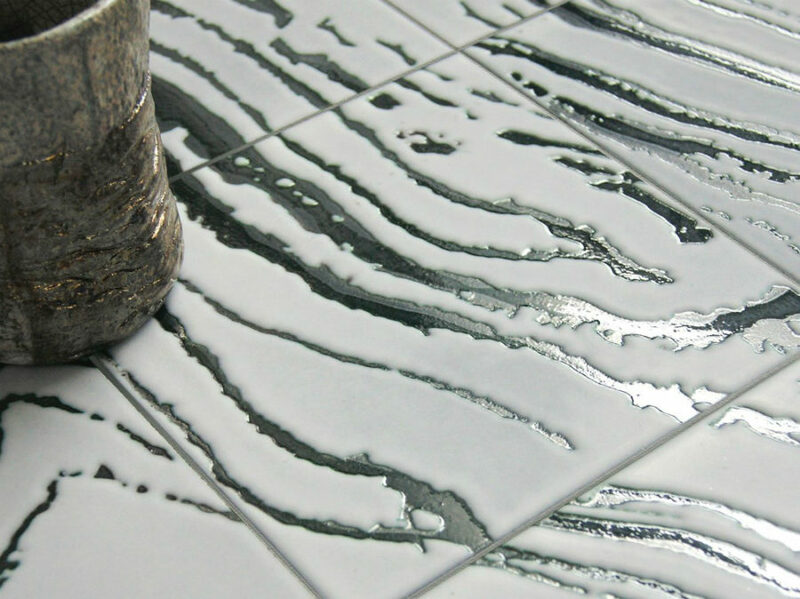 There is no bigger trend in tile design right now than tiles that look like something else. 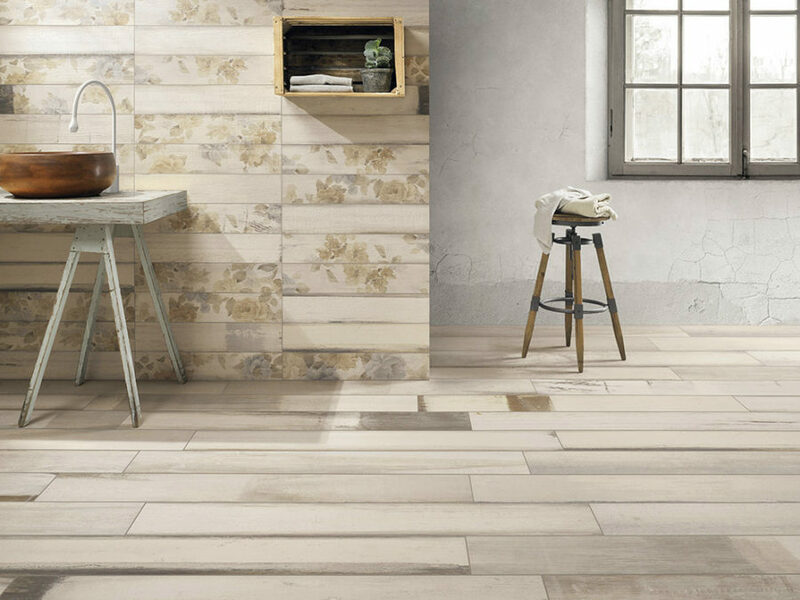 Wood-look tiles are probably the most impressive, but not the only ones. 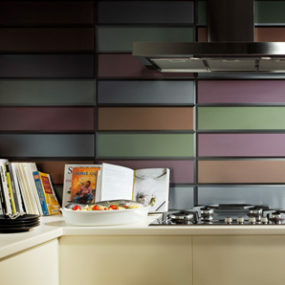 How about brick or masonry tiles? 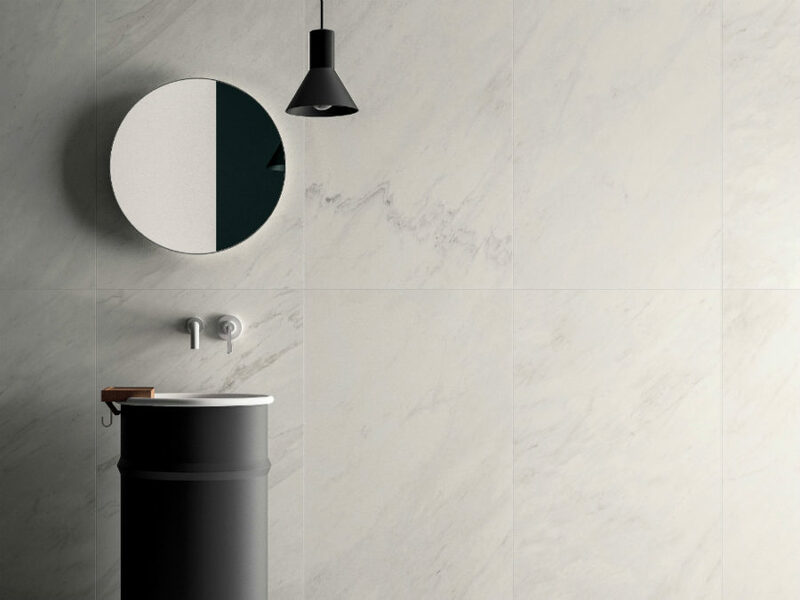 What a great addition to the contemporarily minimal bathroom. 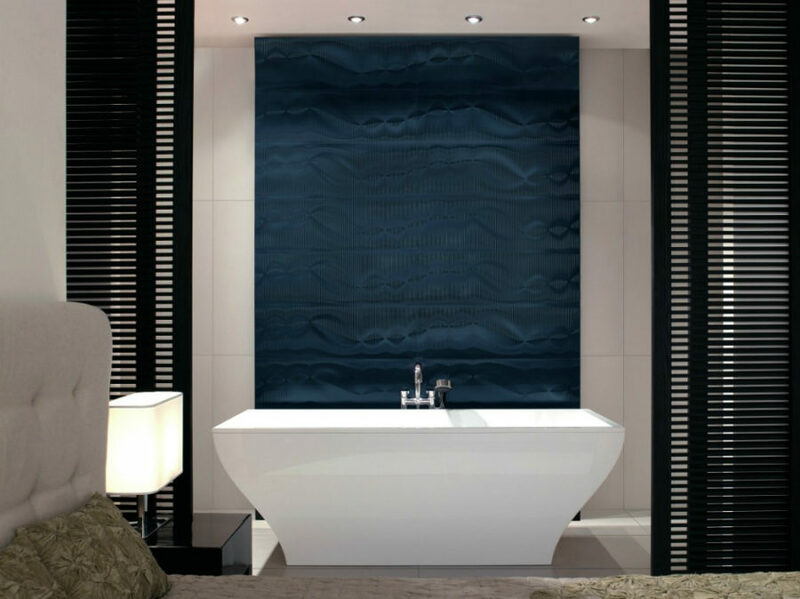 Tiles that imitate textiles would make any bathroom look more cozy and inviting. 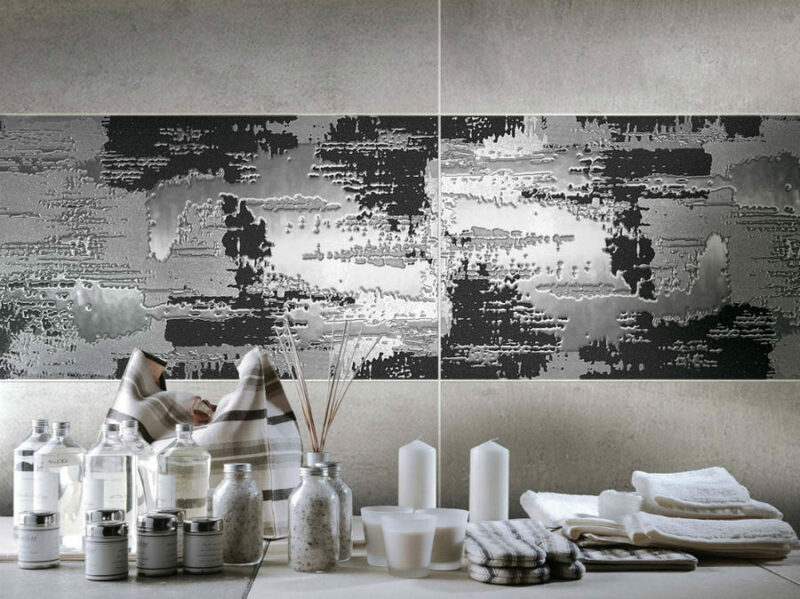 Ceramica Saint’Agostino demonstrates it with their Digitalart collection. 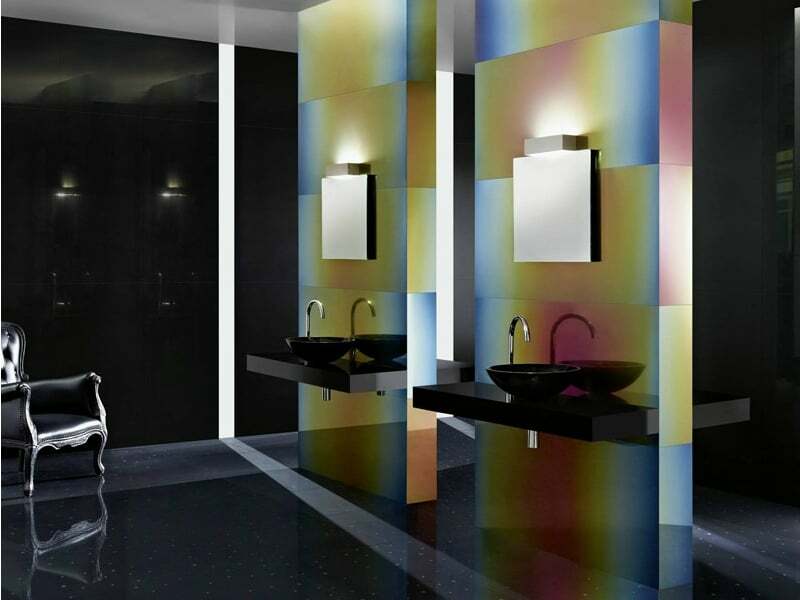 Revigres goes the opposite direction with their colorful Espelho Mirror tiles that imitate metal. 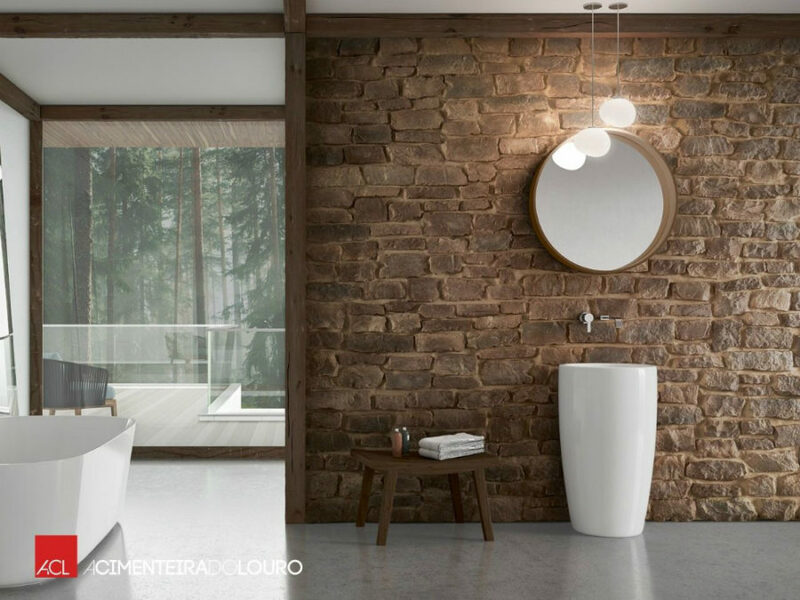 Regardless of which you choose, your bathroom will be like no other. 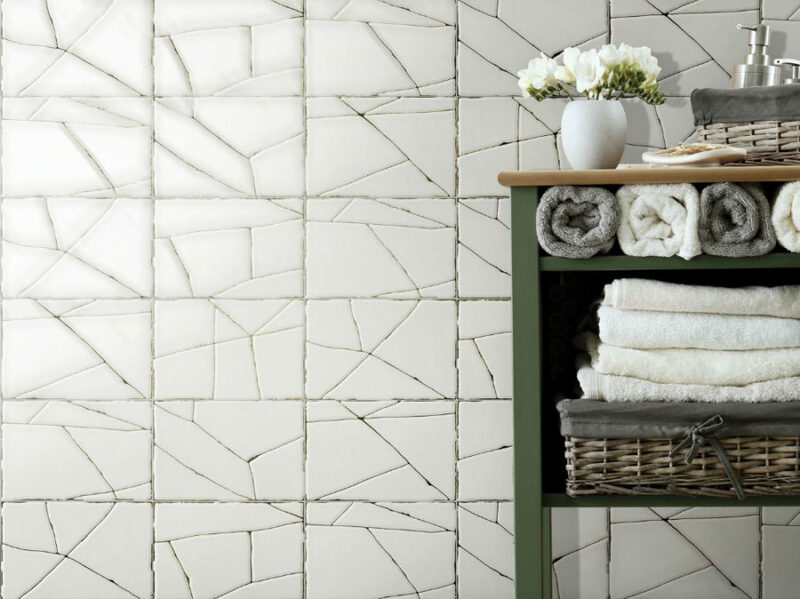 Textured tiles are great at bringing dynamic and visual detail to expansive surfaces. 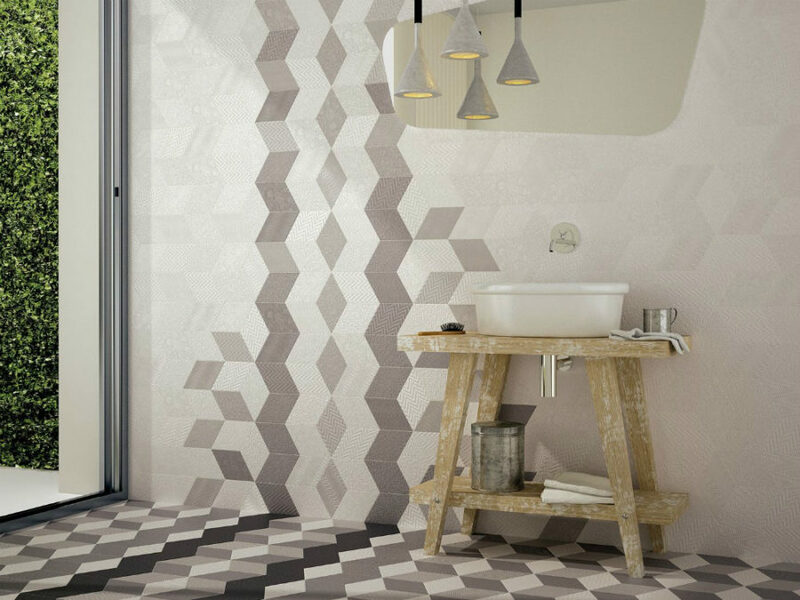 If you dislike sterility of the massive contemporary tiles, then textured designs ought to help you avoid it. 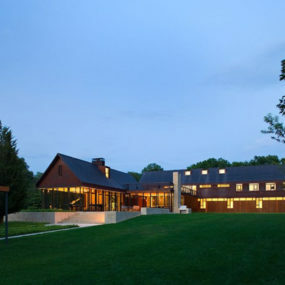 There are fine textures and coarse ones that weave and create patterns. They can be abstract or deliberate. 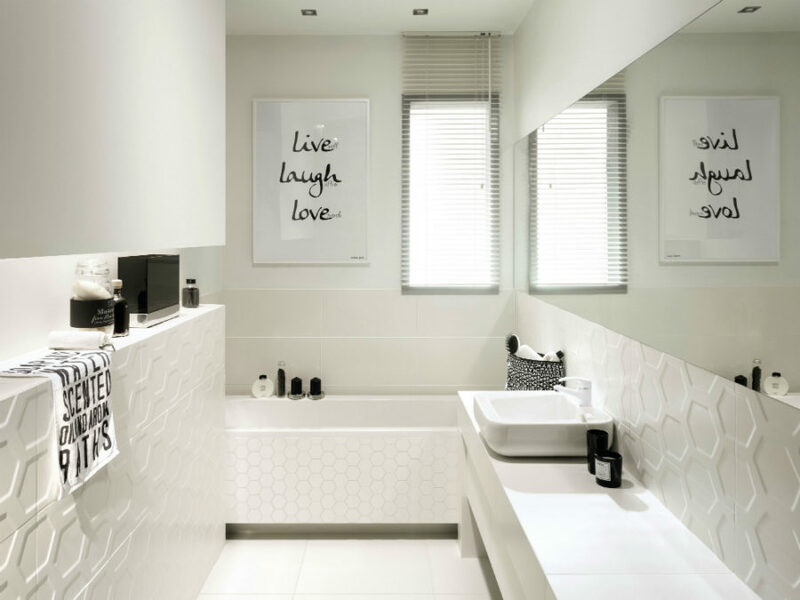 Whichever you choose, keep them to a feature wall, if you want it to stand out and garner more attention. 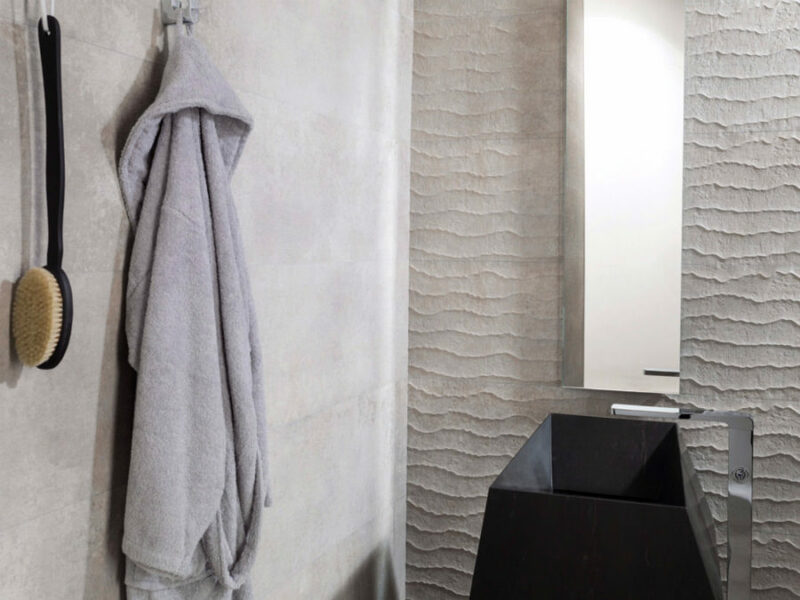 Textured surface can definitely make white bathroom walls look more interesting. 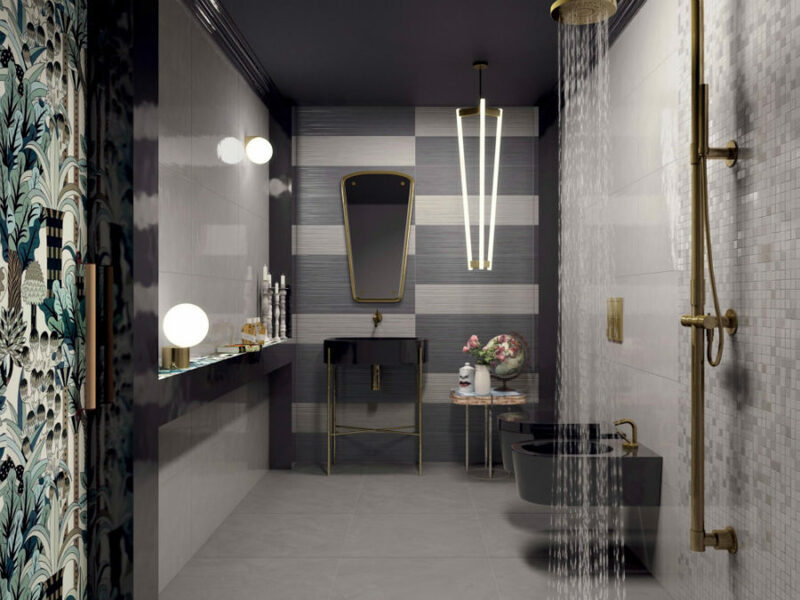 3D designs will bring more to the interior than mere textures. 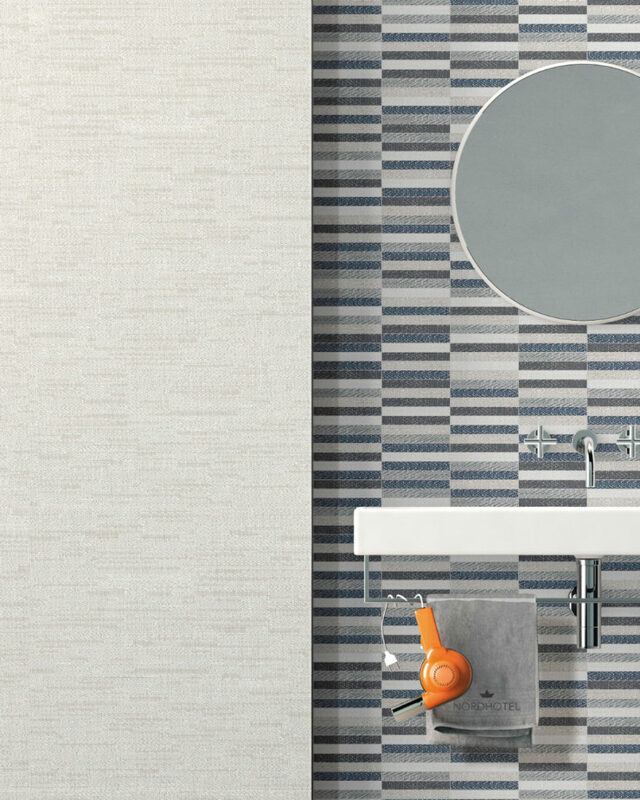 These patterns protrude and stand out to make a statement with their surface. 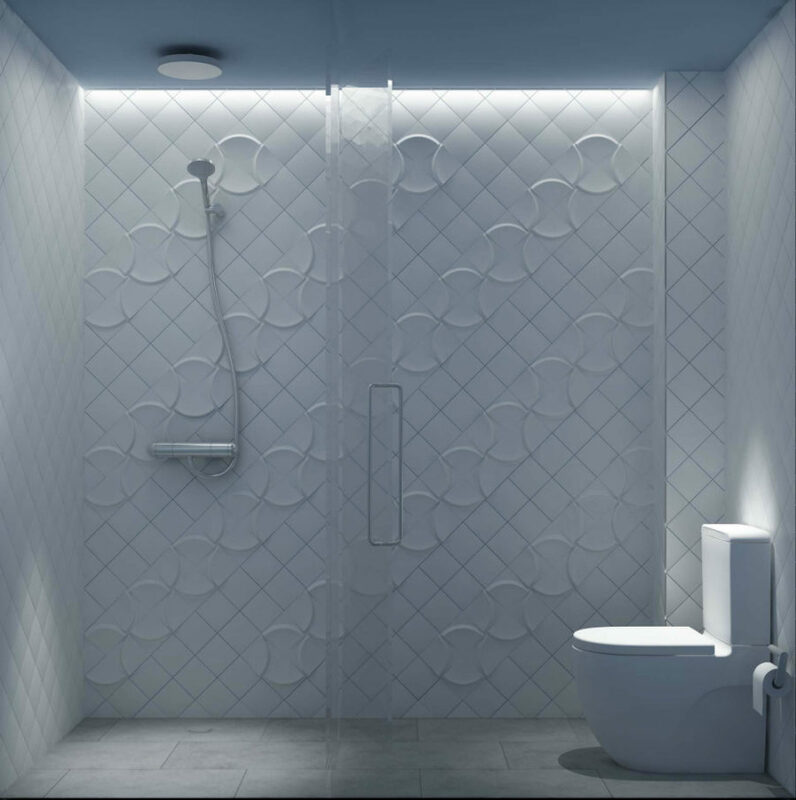 With modern cutting edge technologies, any 3D shape is possible. 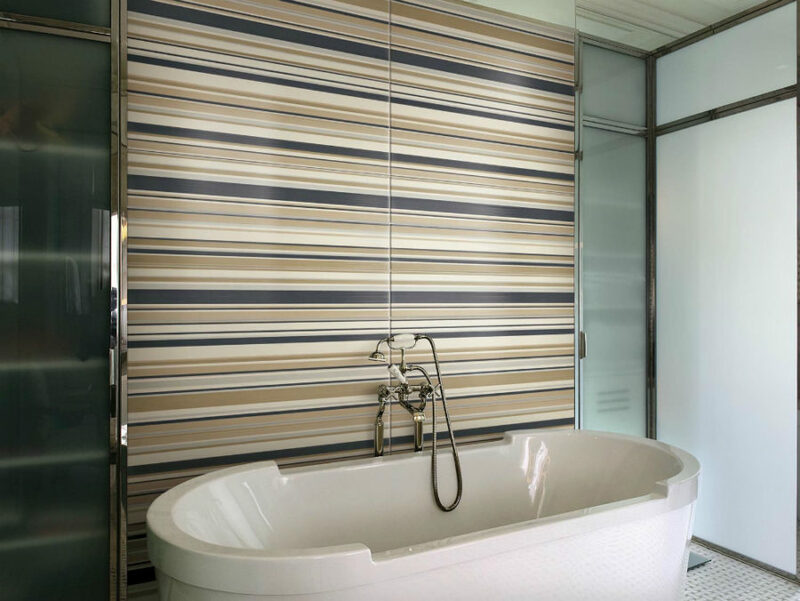 3D wall coverings truly change the way modern bathrooms look. It’s not just a matter of adding a certain shape. 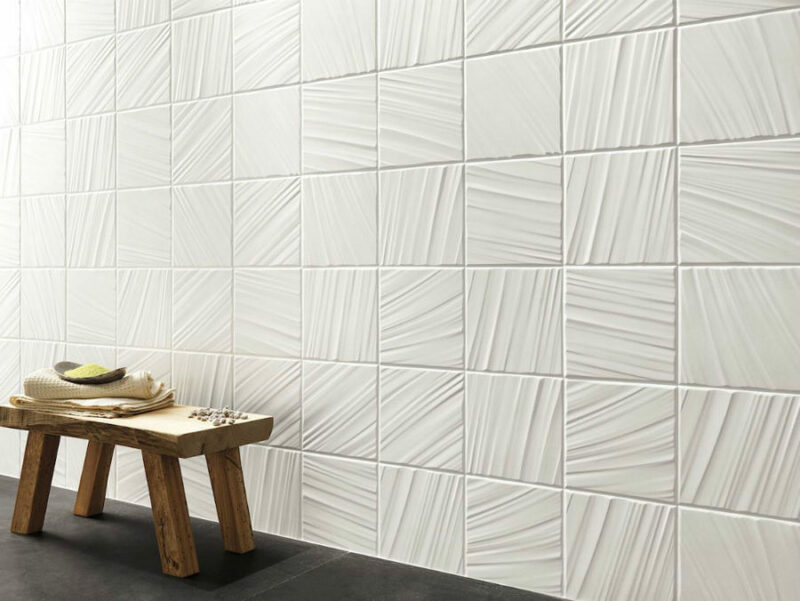 With 3D tiles you can subvert expectations, and create designs that surprise. 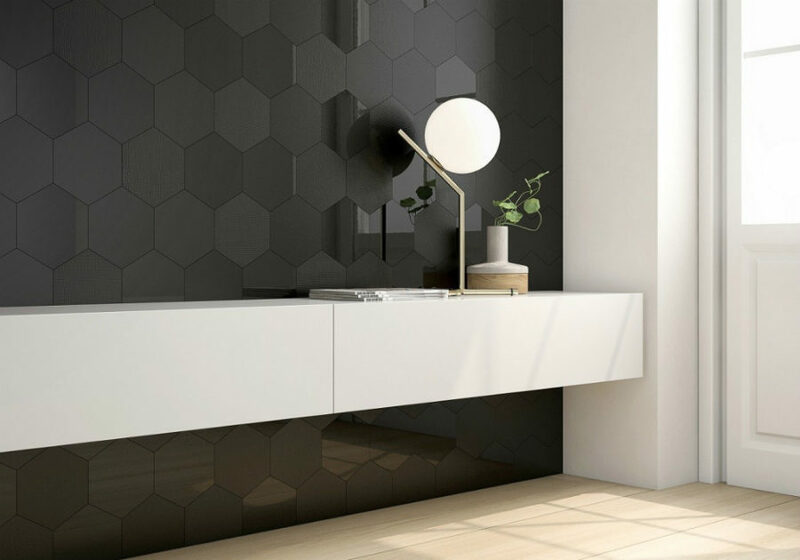 Besides texture patterns and 3D shapes, modern bathroom tile designs come with unusually designed irregularities that give them their unique appearance. 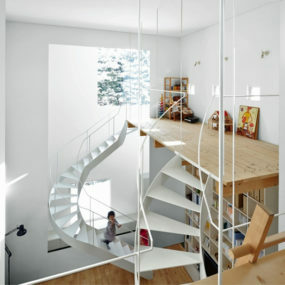 They can take shape of dripping paint or shatters. These broaden your choices even further. 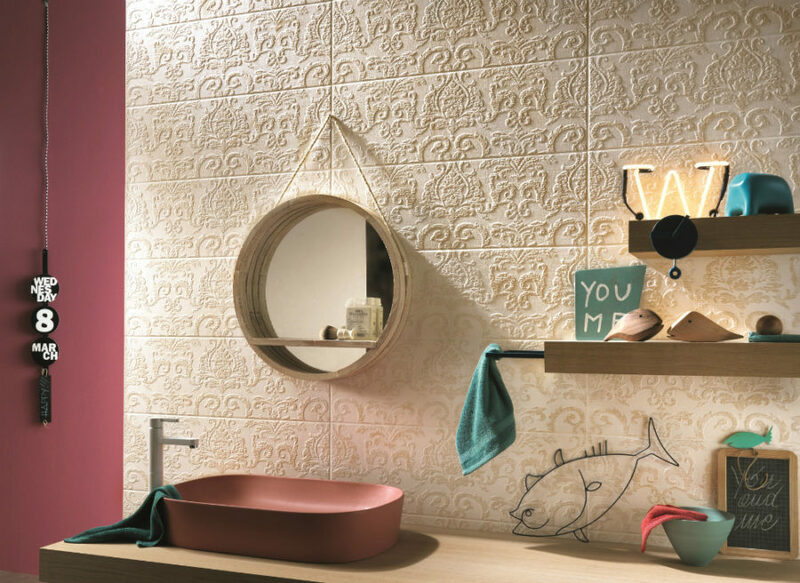 There is beauty in chaos, but if you are too organized for it, there are also designs that will suit you more like the irregular Soli E Lune from Ceramica Bardelli and matte and glass Geom by Alea. 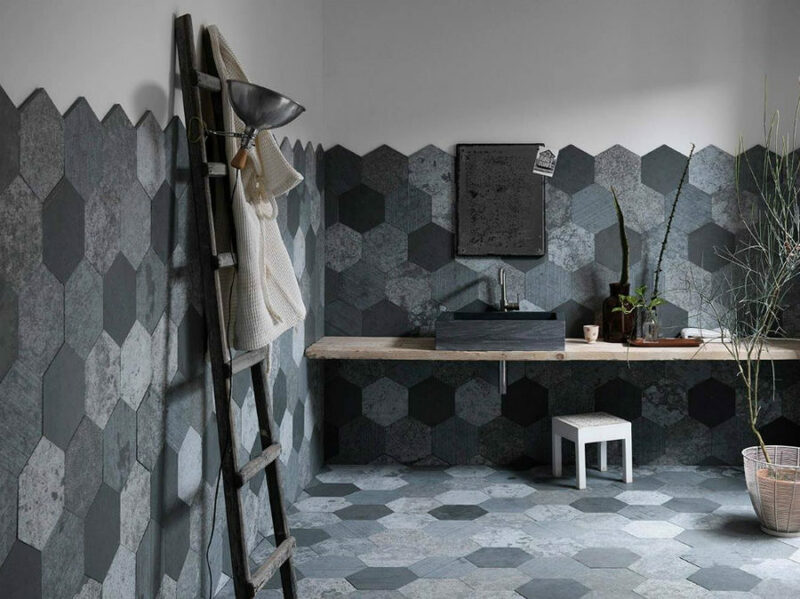 Don’t you just want to arm yourself with a putty knife when seeing these modern bathroom tile designs?